The Illustration Work of Louise Byng as seen from Earth. : Turning Point. When working on a project for a long period of time I nearly always experience a 'turning point' phenomenon; a point when a real 'push' kicks in and things seem to happen more easily and at great speed. This point (always falling within the last few weeks of the process) is often in the form of a drawing, and in this case these 2 images were "it". 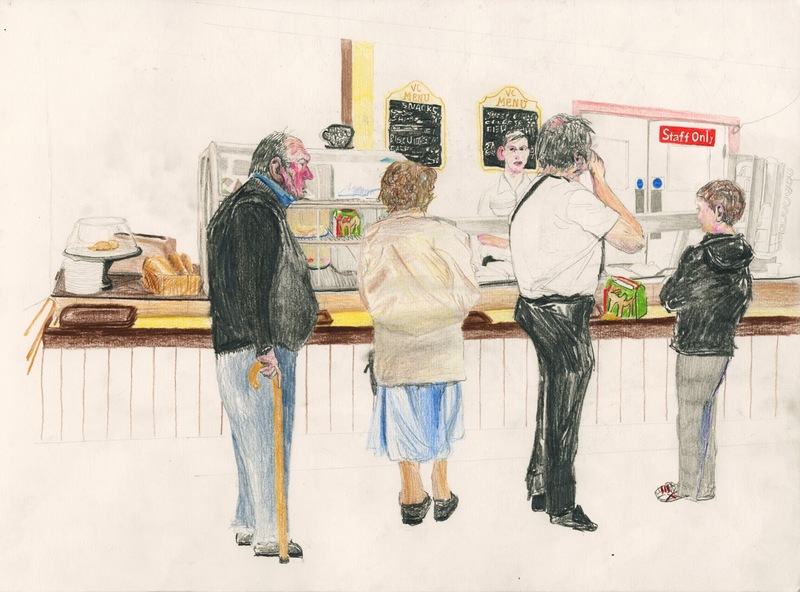 Drawing this dowdy scene of individuals queuing for food gave me a strange sense of confidence, at being able to capture the look of bread, and objects that can be seen through. The man at the back also became an icon of my project for me; the epitome of a man waiting, with flushed face and an expression which says he has given up on even being impatient; he is just existing, helpless and being held there by others. 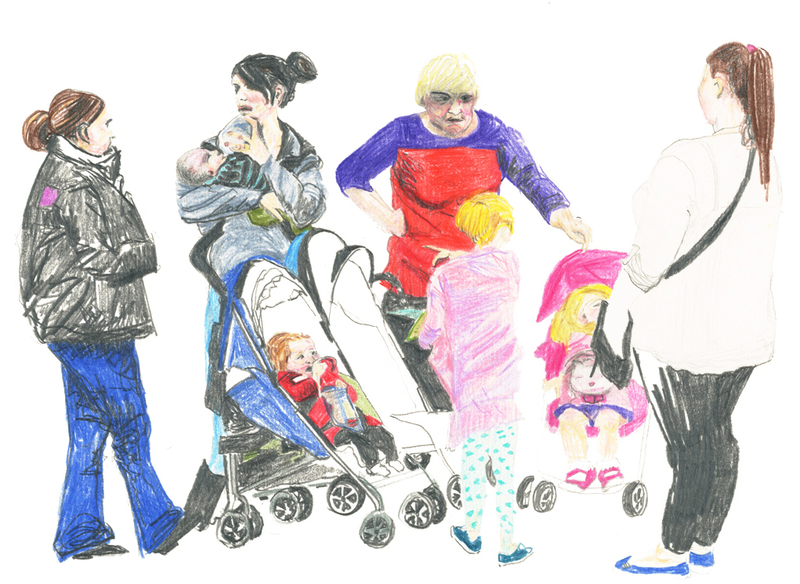 The image below was drawn from a photograph I took in Bristol of a family waiting outside Boots. There is something about their positioning that lends itself to a biblical scene, and I feel glad to have been able to capture all the details within this moment. With just over a week left to finish up university work for the last time, it is a very strange last hurdle to get everything together. But, what with all these creative turning points I have accumulated over 3 years, I can see how far I have come and how far I can continue to go.